Secrets To A Flat Stomach! Do you want a flat stomach? I don't know a person who doesn't! 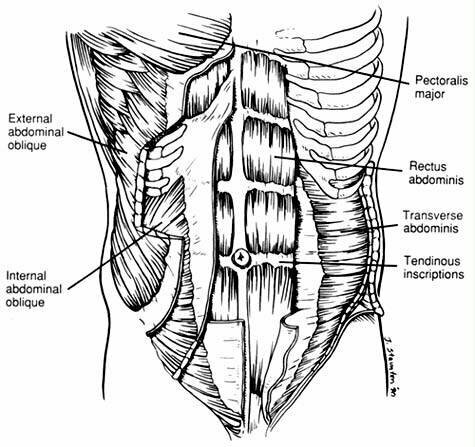 In order to be successful at thinning your waistline you must have a basic under standing of how the ab muscles function and how your body burns fat. Learn how here! Do you want a flat stomach? I don&apos;t know a person who doesn&apos;t! People spend millions, if not billions of dollars, each year in the quest for a flat stomach. Right now there are about 200 or more ab exercise devices out there. There&apos;s the ab do-it, the ab rock-it, the ab roller, the ab dolly, and so many more. You would think that with all of these amazing new products that most people would be walking around with that nice, lean mid-section they&apos;ve always wanted. Unfortunately, that&apos;s not the case. Most, if not all of these products, will do little or nothing to flatten your stomach. And that&apos;s because these exercise contraptions cannot eliminate the layer of fat that lies on top of your abs. 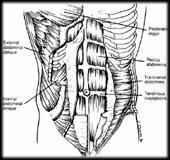 In order to be successful at thinning your waistline you must have a basic under standing of how the ab muscles function and how your body burns fat. The first thing that needs to be understood is the difference between fat and muscle. Fat is excess calories and is primarily stored in layers on top of muscle tissue. Muscle is made up of fibers that contract or shorten to produce movement. Fat cannot turn into muscle and muscle cannot turn into fat! However, you can lose muscle and you can gain fat. That&apos;s what happens to most people. So if your goal is to thin your waist line and have a nice flat stomach, the first thing you need to do is decrease / eliminate the layers of fat that are on top of your abs. We all have a flat stomach; it&apos;s just some of oar&apos;s are covered by excess fat. The most effective way of flattening your stomach is a combination of strength training (with a extra focus on mid-section), cardiovascular exercise (short, hard workouts), and stable blood sugar (keeps you from adding additional fat and makes it easier for the body to use body fat for fuel). 1. You Must Do Some Form Of Progressive Strength Training. The primary function of the ab muscle is to flex your torso forward. However, there are also muscles that flex your torso to the side and muscles that rotate your torso. Often times you see people on their ab roller every day doing hundreds of crunches or sit-ups. The abs, are muscles just like any other and should be worked at most 3 times per week. You also want to make sure you are training them progressively, working them harder each time. 2. Use Short, Hard Cardio Workouts To Increase Metabolism. Cardio workouts are important because they CAN, if done correctly, increase your metabolism for 4-24 hours or more! This means you are less likely to store any excess calories as body fat because they are more likely to be used by your elevated metabolism. Plus, you are more likely to burn off some excess body fat. Below is a sample interval workout that can be done with just about any activity (walking, bicycling, swimming, stair climbing, etc.). Warm up at easy pace 2-5 minutes and then perform 30 seconds of hard work (almost as hard as possible), then perform 1 minute of moderate work (recovery time-catch breath), then repeat this process 6-10 times, then cool down at an easy pace for 2-5 minutes. 3. Stable Blood Sugar Is The Key. And most importantly, you must stabilize your blood sugar! This is by far the most important factor when it comes to burning away that excess body fat and keeping it off! To effectively stabilize your blood sugar you must feed your body frequently; like every 2-3 hours. The key is to give your body only what it needs at that time. Your body burns calories 24 hours a day, so, why would you only feed it once or twice a day? Give your body the fuel it needs: vegetables, fruits, nuts, berries, whole grains, and lean proteins (chicken, fish, lean beef, eggs, etc.). Many people are too hung up on how much fat is in food, or how healthy of a choice it is. Calories are calories and it doesn&apos;t matter where they come from. If there&apos;s extra... where&apos;s it going? Yup, you guessed it... body fat! This is not to say that what you eat is not important because it is, it just doesn&apos;t have that much of an affect when it comes to fat loss. Try to make healthy choices whenever possible, but don&apos;t feel like if you eat a cheeseburger it is guaranteed to be stored as fat. 4. Get The Help Of A Professional. Unfortunately, most people don&apos;t know enough about the human body, nutrition, or effective exercise to meet their health and fitness goals. Ask yourself this one question, "Am I happy with my current progress or condition?" If you&apos;re not, you should consider getting the help of a qualified personal fitness professional. Don&apos;t depend on the information you get from magazines or from your local gym/ health club. A qualified fitness professional can help you achieve your health and fitness goals, and in less time than you would imagine. If you are serious about your health and fitness goals, and you are ready for that flat stomach, I recommend you start implementing the 4 strategies listed in this article. These 4 strategies can help you take control of your metabolism and burn off that excess body fat and having you looking and feeling great! If you would like to receive more information on how to lose those love handles please call me at 240-731-3724 or e-mail me at jesse@achieve-fitness.com. Jesse Cannone is a certified personal fitness trainer, post-rehab specialist, nutritionist, and a national fitness presenter. He is also the author of Burn Fat FAST and A Bride&apos;s Guide To Fast Fitness + Weight Loss in addition to many other popular fitness articles. He is known for his hard-hitting and to the point style and offers a great free email newsletter called Fitness Success News, which you can subscribe to at his website http://www.achieve-fitness.com. For information on Jesse&apos;s A Bride&apos;s Guide to Fast Fitness + Weight Loss or Burn Fat FAST! books, click here. &apos;Take Control Of Your Metabolism&apos;, click here! What Do You Think Is The Best Ab Exercise?